I would probably actually eat it every single day if it were offered to me but you know eating too much isn’t good for my weight, so I definitely can’t indulge everyday! 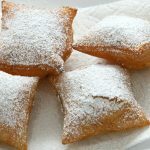 So as we are getting close to fall there are a lot of pumpkin recipes hitting the internet. I don’t think I’m quite ready to eat pumpkin, but I do enjoy looking at the recipes and seeing what I want to make coming this fall season such as this pumpkin snack cake with cream cheese frosting! 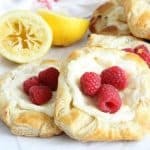 You also see lots of back to school recipes hitting the internet this time of year as well. 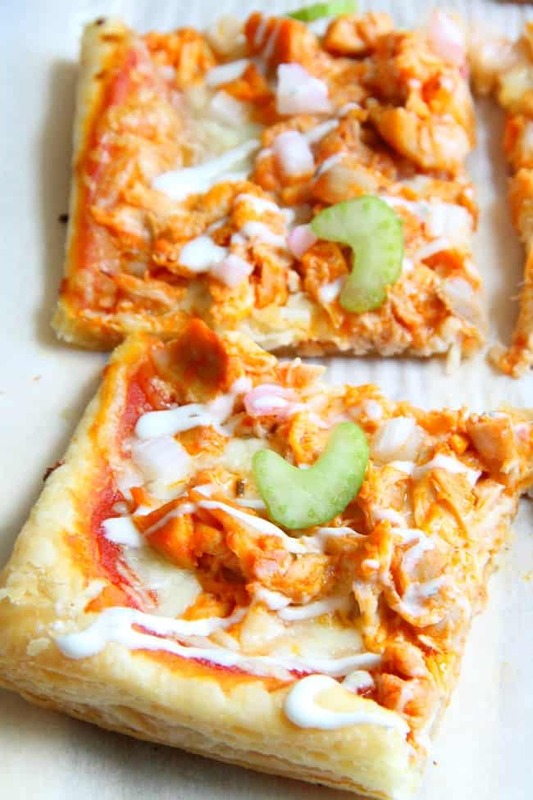 Well, I’ve got you covered with this buffalo chicken puff pastry pizza. It’s super simple. It’s easy. You use a leftover rotisserie chicken and some flavoring and a slab of puff pastry and you’re good to go. 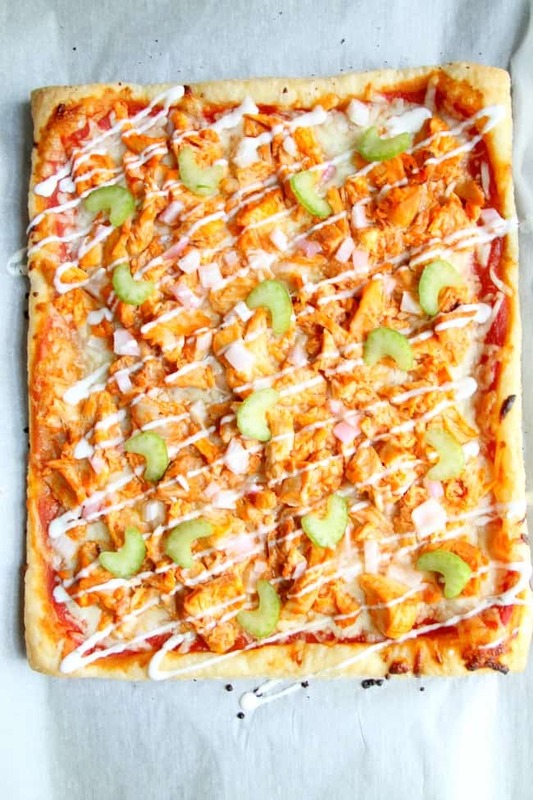 I made this around the same time that I made puff pastry barbecue chicken pizza. 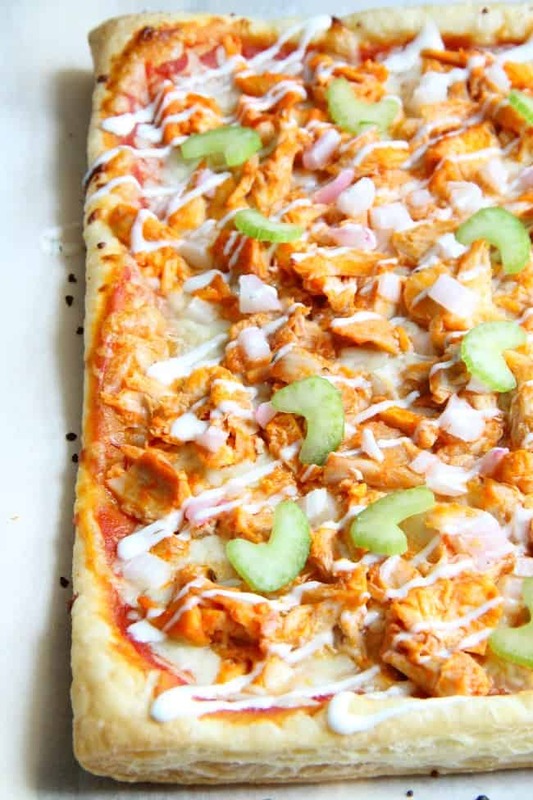 Honestly I believe I like this one better, just because it has a little spice in it with the buffalo sauce. 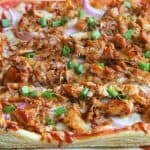 My kids, on the other hand, really enjoyed the Puff Pastry BBQ Chicken Pizza because you know it has barbecue sauce in it! They sure do love their sauces! 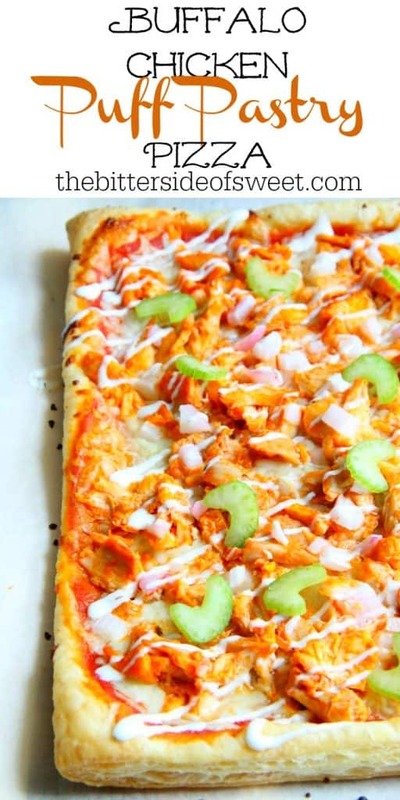 The combinations with using rotisserie chicken is endless, but I decided to make it with buffalo sauce. Then of course I had to add some ranch dressing and celery! It reminds me of when you go to a restaurant and you get buffalo chicken wings. 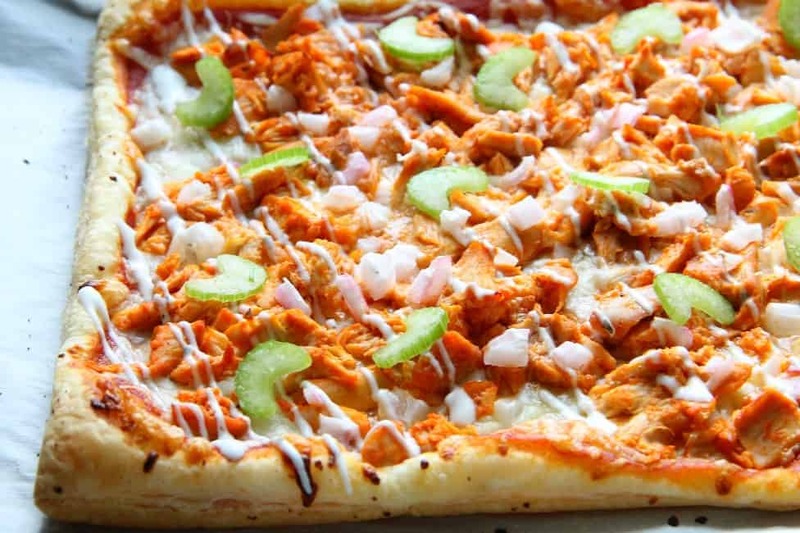 Wings typically come with these popular sides when you order them, so I thought it would be a good combination to add on top of the pizza. The celery on top give it a nice little crunch when you take a bite which I kind of enjoyed! 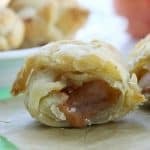 If you are looking for more savory dishes to make with puff pastry how about these Bacon Cheddar Pinwheels and these Individual Puff Pastry Chicken Pot Pies!